Great news! 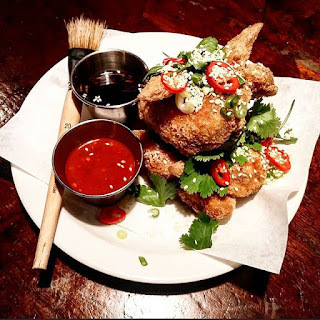 Coqfighter, the fried chicken specialists - wings, burgers, baos and more - have a second residency, this time at Birthdays in Stoke Newington Road, N16, at the Dalston end. It's open seven days a week for eight weeks from Thursday 3rd of March, with a special launch party with 1,000 free wings on Weds 9th March. The will continue to be at The Rose & Crown in NW5 until May.